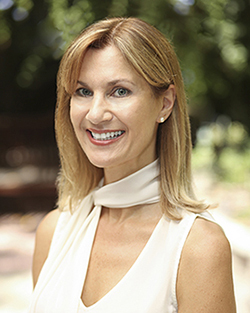 As longtime Vice President of Credit and Investments for Prudential Real Estate, Corine Peterson – who began with the company as a senior accountant – eventually managed a $300 million real estate portfolio and served on the boards of several of the company’s largest affiliates throughout the U.S.
With a portfolio of the largest multi-office real estate brokerages nationwide, she engaged in high level mergers and acquisitions by structuring and making strategic investments involving both debt and equity in the residential real estate brokerage industry. To read more please visit my professional biography page located above. Use the above link to find out What your property value is by simply entering in your Home Address. Use the above link to search the MLS for all available properties. Please feel free to reach out to me at anytime with any additional questions you may have. If you are looking for a business minded realtor to maximize your return from the sale of your home then Corine is your realtor. She doesn’t approach you looking for the quick sale. She markets your property extensively so that you reach a large number of clients. Further, she does extensive qualifying of any potential offers that could be accepted to minimize the potential of falling out of Escrow. In short; highly responsive, experienced, professional, financially minded, and very thorough. We would use her again!